This website is not supported by Internet Explorer 7 and will not display properly. Please upgrade your browser to the most current version of Internet Explorer. Can I get parking by my building? How do I change my meal plan? How do I establish landline telephone service in my apartment / room? I have a maintenance problem in my room/apartment. What should I do? I’m having trouble with my ResNet computer connection. What should I do? How do I apply for housing? How do I apply for Special Interest? How do I confirm my housing assignment? I’m a current resident, how and when do I apply for housing next year? I’m a registered student at USC but not living in university housing–how can I apply? Is housing available during the summer? What are the deadlines for cancelling my contract? What are the priorities for assigning applicants? What if I need special accommodations? What if I want special housing due to my sexuality and/or gender identity/expression? What if I want to change my housing assignment? When will I get my housing assignment? Where can I get a copy of my Living Agreement (contract terms)? Can I bring my own furniture? Can I have a pet? Do residents of apartments have to move out during Winter Break? I misplaced a Housing brochure that had some important information in it. Can I get another copy? Is it possible to check-in before Move-In Day? What should I bring with me when I move-in? When do residence halls and suites close for the Winter Break? Where can I find check out information? Where do I find building information? Where is my customer service center? Can I be assigned to a Gender-Inclusive space if I didn’t request it? Can I select my own roommates? How do I apply for Gender-Inclusive housing? I am a __________ major. Should I live in a particular building? I am a transfer student. Am I guaranteed housing? I am admitted for Spring. When can I apply for housing? I applied by May 1. Why didn’t I get my first housing choice? I applied for USC Housing Renewal but didn’t get a space during the General Lottery. What should I do? I have additional questions about Gender-Inclusive housing. Where can I get answers? Is there a waitlist for housing? What about housing for next year? What if I want to tour or see a building? What is USC Housing Renewal (UHR)? When are my contract start and end dates? Where is Gender-Inclusive housing located? Who may apply for Gender-Inclusive spaces? Can I be reassigned with a roommate? Can I be reassigned with roommates? Can I request a different room/apartment number? Can I request reassignment with roommates who don’t currently have an assignment? Can I sign up for a reassignment wait list? Can I switch spaces with another resident? Can I turn in more than one request? How do I find out what housing spaces are available? How long do I have to move to my new assignment? How long will it take for my request to be granted? How long will reassignments be open? I am part of a group request in which some of the students are already assigned to the building and room type we want, but wish to bring in one or more other roommates. Do we need to contact the students already assigned to those spaces and get them to move? I changed my mind and don’t want to live where I have been reassigned. Can my reassignment be undone? I don’t have an assignment yet; can I apply for reassignment? I don’t have an assignment yet. Can I apply for reassignment? I don’t think I will get along with one of the people assigned to my room; can I reassign to get a more compatible roommate? I’ve heard that someone is cancelling their university housing contract. Can I reassign to their space when they cancel? Is there a form I need to fill out? My intended roommate(s) and I are already assigned to the same building and room type, but we aren’t roommates. Should we use reassignment to be placed together as roommates? The person I want as roommate and I are already assigned to the same building and room type, but we aren’t assigned together. Should we use reassignment to be placed together as roommates? What are my chances to be reassigned? When will I know if I have been reassigned? Where do I go for reassignment? Why does everyone on a group reassignment request have to be present to submit the form? Will I be reassigned to just any space? Will I lose my current assignment when I apply for reassignment? Will you contact me when you have a new space for me so I can decide whether or not I want it? I prefer to pay my rent on a monthly basis. Is there anything I can do? When and how will I be charged rent? Where can I find rents for USC Housing facilities? Can sophomores request juniors or seniors as a roommate in the Sophomore portion of the UHR General Lottery? How will USC Housing ensure that all qualified sophomores are offered a space in housing? Is there a timeline or expiration of the guarantee? What is the definition of a sophomore for the purposes of this guarantee? Will certain locations or groups of spaces be ‘Sophomore Designated’ similar to the current ‘Freshman Designated’ spaces or buildings currently allocated in housing? Can any USC student utilize this service? How much do the TVs cost to rent? I live in Family Housing with different contract dates; do the same rates apply? I’m a spring admit; can I rent a TV? If I change my housing assignment during the school year, should I move the TV myself? Is there a cancellation date? What do I do with my TV at Check-out? What if I damage my TV and it needs to be replaced? What is the deadline to order your TV? When will I receive my TV? Who should I call if I’m having problems with my set? USC DPS Patrol Area refers to the immediate area around the university campuses and off-campus properties where DPS CSOs and PSOs provide 24/7 patrol services for the campus community. USC offers a wide-variety of floor plans. This floor plan is typical, though the actual layout and dimensions will vary among buildings that share this plan. Where the exact plan for a room type was not available, the closest approximation was used. Some items shown are for decorative purposes and not included in the room or apartment. Providing immediate access to a DPS communications officer, publicly-accessible Emergency Blue Light Phones are conveniently located across campus. Housing Icon Key All housing facilities are non-smoking. Stardust is a two-story building with, studio, one- and two-bedroom apartment--something for just about every graduate student's needs. In each configuration, residents will have their own bedroom, with the two-bedroom units offering the economy of a shared apartment. The building was recently remodeled and upgraded with hardwood floors, new kitchen appliances and cabinetry, new bathroom fixtures and new furniture, making for very attractive interiors. Living rooms in Stardust are air-conditioned. The apartments open on to a central courtyard, a design that creates a comfortable community setting. 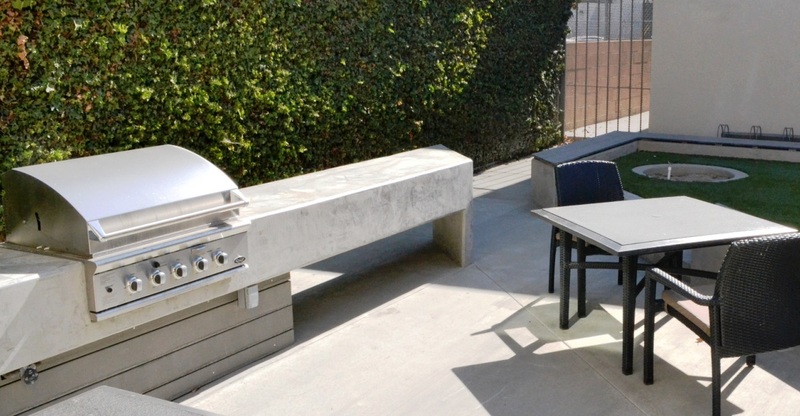 The courtyard features a hardscaped area with modern outdoor seating, tables and a barbecue unit. Stardust is close to the numerous restaurants and shopping options on Figueora Street. Stardust offers Graduate Academic Year contracts, beginning in early August and ending in May. 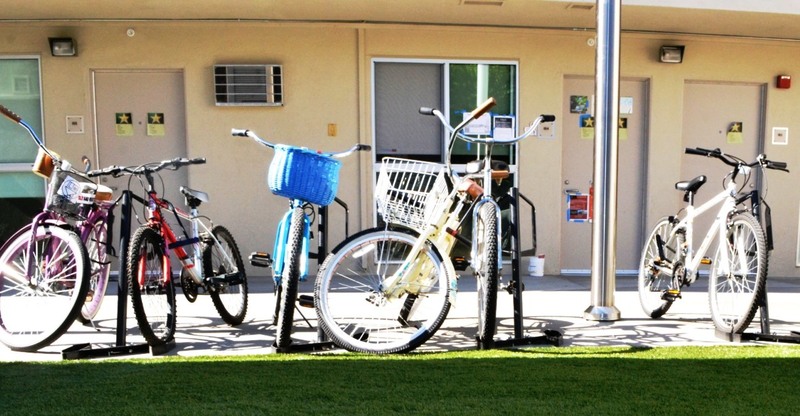 Stardust has limited, on-site carport parking in the back of the building and is on a USC bus route. 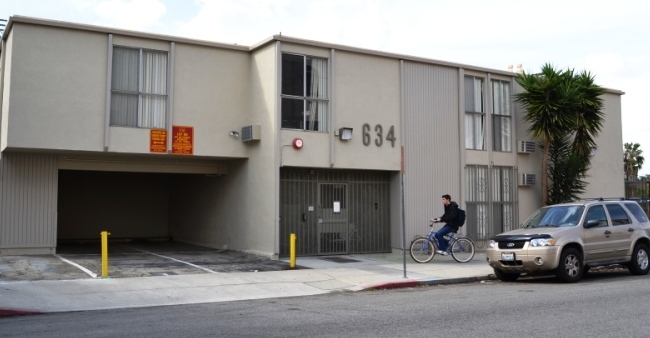 Stardust is home to the expanding USC Veteran’s Housing program. Preference for assignment in this building is given to former service members continuing their education at USC. LISTINGS APPEARING ON THE FOLLOWING SITE ARE NOT ENDORSED OR GUARANTEED BY THE UNIVERSITY OF SOUTHERN CALIFORNIA. YOU ARE SOLELY RESPONSIBLE FOR YOUR CHOICE OF LANDLORD AND RENTAL UNIT. 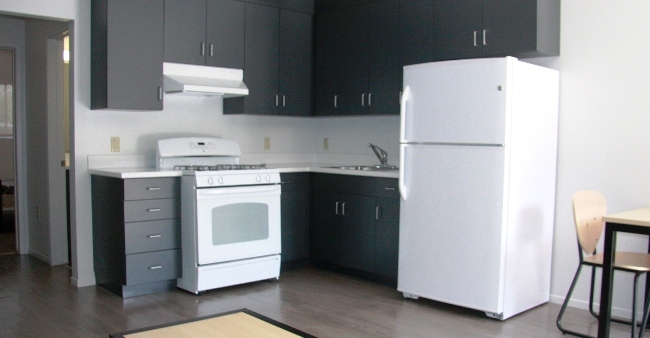 The listing of rental units on this site is provided as a convenience to University of Southern California ("University") students, faculty and staff. Off Campus Housing (OCH), the site operator, requires that Landlords report information accurately and fairly, however neither the site operator nor the University are able to verify the accuracy of information contained in listings. The University and OCH cannot and do not vouch for the fairness or accuracy of information posted on the site by third parties. If a property is listed on this web site, that does not mean the University or OCH endorses or approves the landlord, its properties or business practices. It also is not a guarantee by the University or OCH that the property complies with building, safety or fire codes, or that it is clean or safe or otherwise suitable for your use. Before signing a lease you are responsible to learn about the property, about your landlord and about the landlord's property manager. You are also responsible for understanding your rights and responsibilities as a tenant. 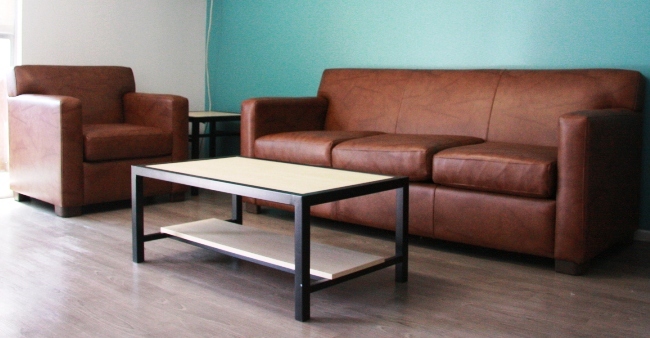 The University and OCH are not responsible for any problems that may occur with your rental unit or any disputes that may arise between you and your landlord. All prospective tenants are encouraged to exercise common sense and good judgment when evaluating prospective rental units and landlords.